The emblem book addressed a wide range of interests within humanist culture, among them the purpose of poetry and the relative power of the visual and the verbal. The first edition of physician Janos Zsamboki’s Emblemata was printed by the Plantin press in 1564. 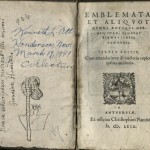 It was the first new emblem book to appear outside of Italy or France and is one of the largest and most influential examples of the genre at an early state of its development. An expanded edition was published in 1566 and was reprinted four times. Janos Zsamboky was a Hungarian humanist who spent much of his life in Vienna as court-historiographer to the Habsburg emperors Ferdinand I, Maximilian II, and Rudolf II. This edition opens with an emblem dedicated to the newly elected emperor Maximilian II. 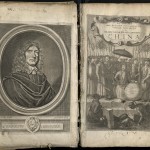 Zsamboky prepared his emblem book at the end of two decades of traveling throughout Germany, France, Italy, and the Low Countries, before he entered the court in Vienna. Other works from Zsamboki include editions of classical texts and historiographical works. His was renowned for his scholarly patronage and an impressive collection of books and old manuscripts. 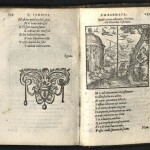 Emblemata consists of single pages containing a motto, a woodcut illustration and an epigram. Nearly a third of the emblems are also accompanied by dedications to well-known humanists, powerful courtiers, clergymen and friends and relatives. Zsamboki commissioned Lucas d’Heere to draw the illustrations. Christopher Plantin had half of d’Heere’s designs redrawn by Geoffory Ballain and Pieter Huys. The woodcuts were produced by Gerard Janssen van Kampen, Cornelis Muller and Arnold Nicolai. The Plantin printer’s device appears on the title-page. A full-page engraving of Zsamboki faces the preface. Various decorative vignettes throughout. 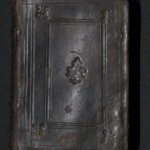 Several leaves with wood engravings of Roman coins at the end of the book. From the Kenneth Lieurance Ott Collection donated to the Okanagan County Museum, Washington. Of all the classical Greek scholars, the most influential was Aristotle. He defined for the first time basic fields of inquiry: logic, physics, political science, economics, psychology, rhetoric, and ethics. 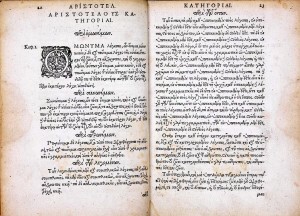 In the process, Aristotle also established a method of study, based upon deductive reasoning, which profoundly influenced scholarship for nearly two thousand years. 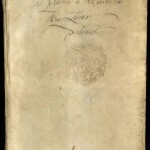 The Organum is a collection of four Aristotelian treatises on inductive and especially deductive reasoning. This edition is a new and corrected version of the famous edition done by the learned French humanist Nicolas de Gouchy (ca. 1520-1572) in Portugal, where he was teaching Greek at Coimbra. 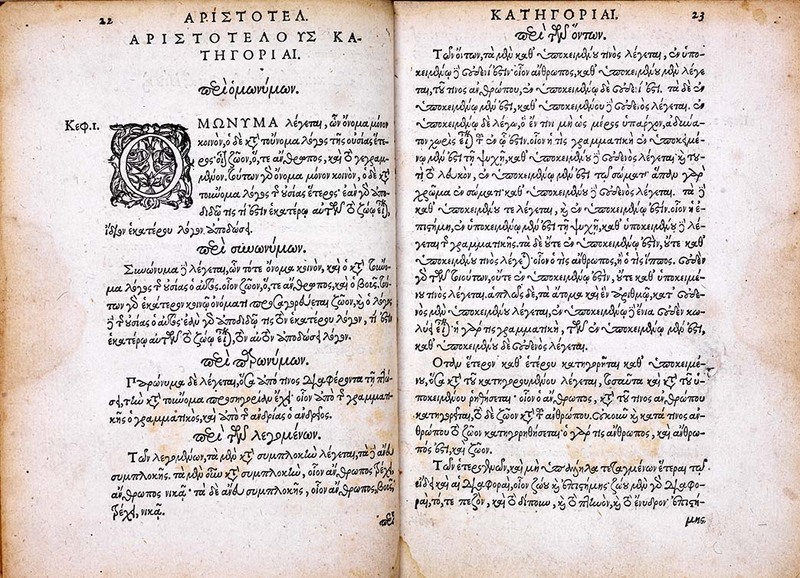 Greek text. Title also in Greek. Widely scattered underscoring or brief neat annotations in an early hand. 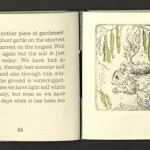 Artists’ Book Cornucopia is an annual juried exhibition held at Abecedarian Gallery each spring. 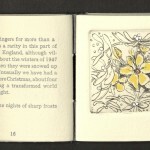 The exhibition is open to any form of artists’ publication with the exception of self-published on-demand bookworks. Regardless of the juror’s decision, all submissions are reviewed by gallery staff with an eye towards inclusion in future curated and invitational exhibitions. A printable version of these guidelines can be downloaded as a PDF here. For more information and to apply visit abecedarian gallery’s website. Entries will be juried by Luise Poulton, Managing Curator, Rare Books, Special Collections, J. Willard Marriott Library, University of Utah. Up to $1500 in purchase and exhibition awards will be awarded at gallery director’s discretion. First prize is a solo show in Abecedarian Gallery’s Reading Room Spring 2015. Written, typeset, printed, and bound by the author. 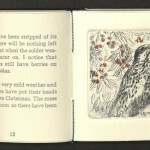 Etchings by Muriel Mallows. Edition of one hundred copies. 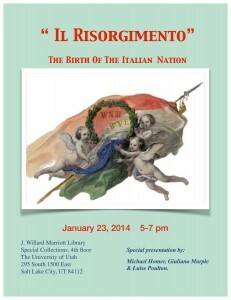 University of Utah copy is no. 47.